Thai food in Auckland is as ubiquitous as it is terrible. Bland, watery dishes are plated up which are as authentic to Thailand as a butter chicken pie is to India. Suffice to say when choosing a meal out, Thai is never a consideration. That sentiment persisted until the excellent Saan opened on Ponsonby, and the newer Kiss Kiss near Dominion Road. Finally Thai cooking has been shown some love. You can tell Kiss Kiss is different when you walk in the door. The wide open dining room is filled with benches, the tables covered by plastic floral table cloths. 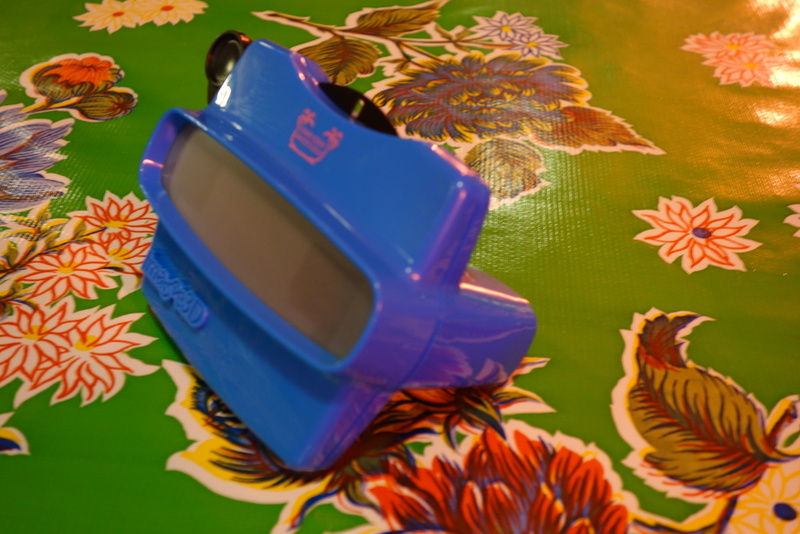 The novelty continues with the slightly daft cocktail menu inside a view master. It's a slight pain to read if you're wearing glasses. The menu differs at lunch and dinner, both versions to the point. The dinner menu is mainly split between rice and noodle dishes. A smatter of shared portions, snacks and sweet dishes make up the rest. I ordered the pork crackling, gaeng hang lay, khao soi gai and som tum salad. Service was fast, incredibly so, my food was served in around five minutes. The small bowl of pork crackling was audibly crunchy, the pinch of saltiness making them irresistible. Perfect finger food. The khao soi was a delight, with a sour tamarind note and chunks of succulent pork belly. A totally unique curry flavour that I haven't tasted anywhere else. At this point in the night I was so taken by the food, that I had to order more! The gaeng hang lay was a thick curry mess of noodles, vegetables and falling off the bone chicken leg. The hint of lemongrass uplifted the flavour, though it was slightly too sweet for my taste. The som tum was slightly disappointing, as it was mildly bland. However a couple of teaspoons of chilli gave it the kick it needed. An hour and a half after entering, and four dishes later I was almost knocked off my feat. Kiss Kiss served bold, fragrant Thai food like nowhere else. Service was fast and with a smile. Great, affordable Thai food has finally come to Auckland.